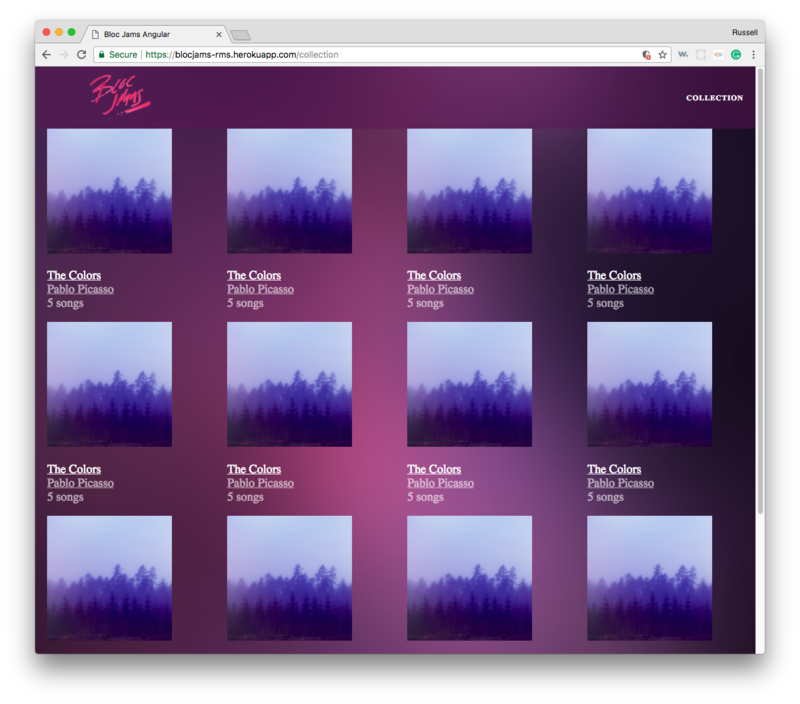 This Spotify-inspired clone was based off a Bloc assignment. 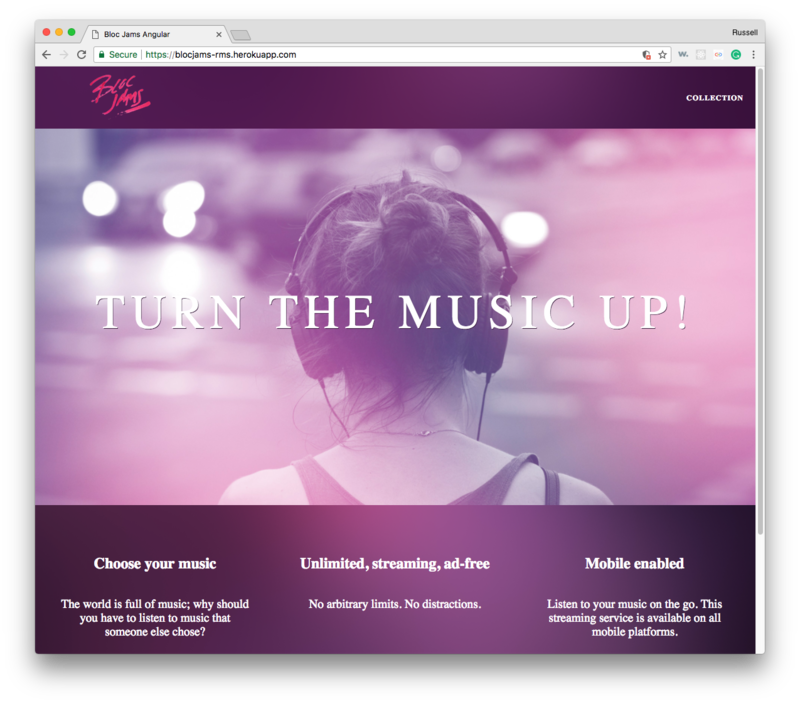 It has a built-in MP3 player, client-side rendering via Angular, and snappy performance. 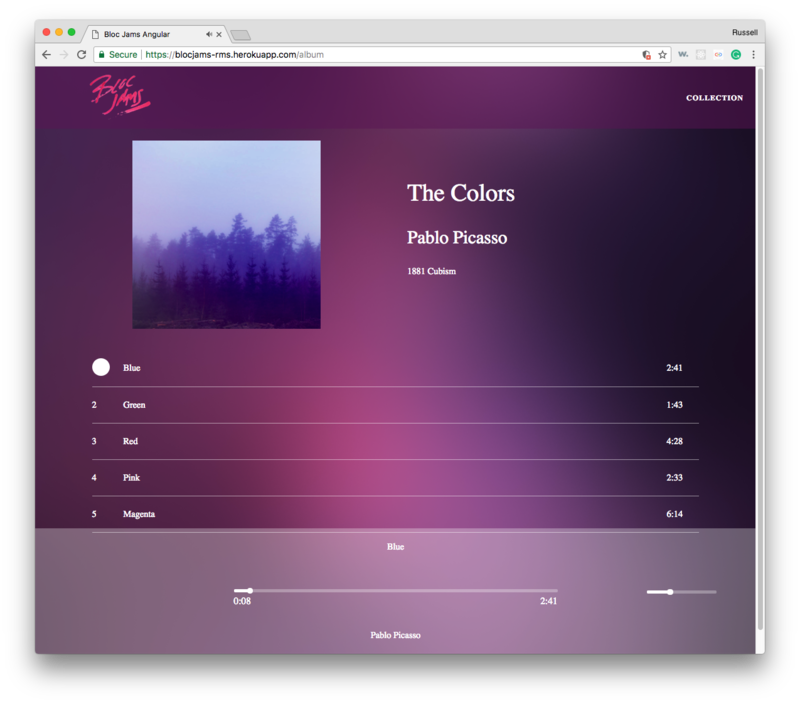 The Spotify-style player has a pleasant and soothing purple gradient throughout and a clean look and feel.